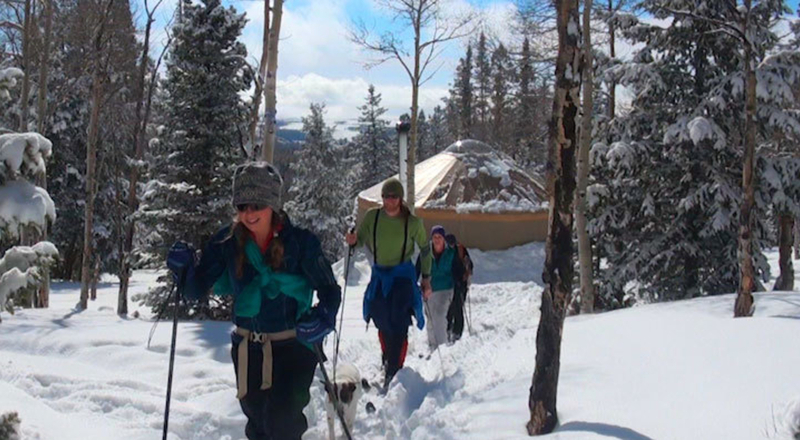 Yurt trips are immensely restorative and relaxing. You hike in with everything you’ll need, take a break from cell reception, cook and commune with friends, and ski untouched snow in awe-inspiring places. But the lead up to all that fun and relaxation? Not always so simple, especially if you’re the trip leader (and every trip needs one). Some plucky soul has to step up and take the reins, and even though every participant has planning to do, the person in charge has an extra level of responsibility. Among a million other details, they have to put their name and credit card on the group’s reservation, which can total in the thousands of dollars, and they have to ensure every party member pays them back. To take some of the stress and hassle out of the process, RootsRated did the hard work for you by putting together this little yurt logistics overview. It's a handy dandy resource sure to help not only trip leaders but any member of a hut-hopeful party with planning this winter. 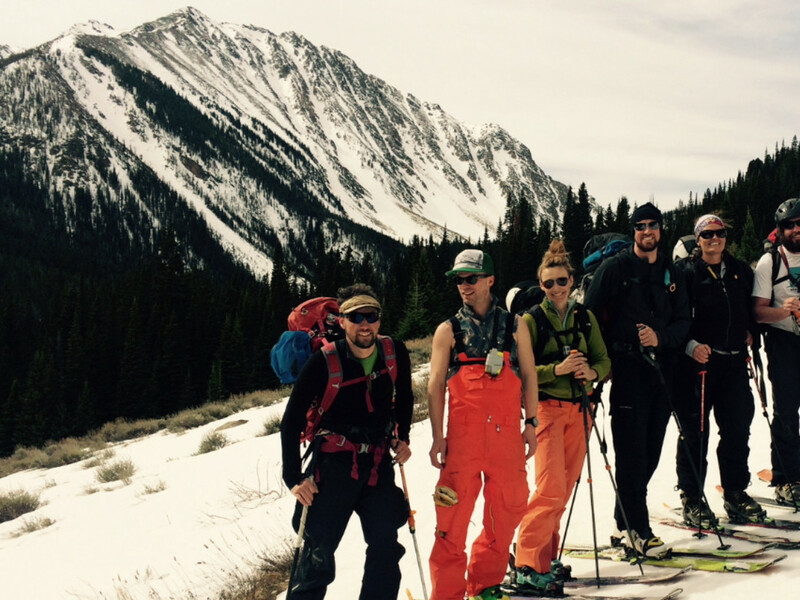 Once you’ve wrangled doable dates with 6-10 of your closest ski-touring buddies and settled on a location you hope to secure, you wade right through the planning process. It’s an investment upfront of time and money—but once you’re four days into a trip full of shredding, eating, and card games, you’ll practically levitate from relaxation. At less than two hours from Salt Lake, these huts are as convenient as it gets for Salt Lake adventurers. Other bonuses: They both provide access to ample skiing terrain of varied difficulty levels, can house up to six people, and are quite inexpensive. The first weeknight is $150, with $100 for each night after that. Your first weekend night is $200, with $150 for the next weekend night. You can scope available dates on their online calendar, then call to reserve. They’ll send you an invoice for the total (which you have to pay within 15 days), along with forms for each member of your party to fill out. It’s a fairly simple, no-frills arrangement, and we have to say, it works. Most Salt Lakers write off the Uinta mountains during the winter, but their loss: They’re missing out on the lovely little B.R.O.R.A. hut system with trailheads just a jaunt away from Evanston. Tacking a yurt trip onto a beer run never sounded so good. 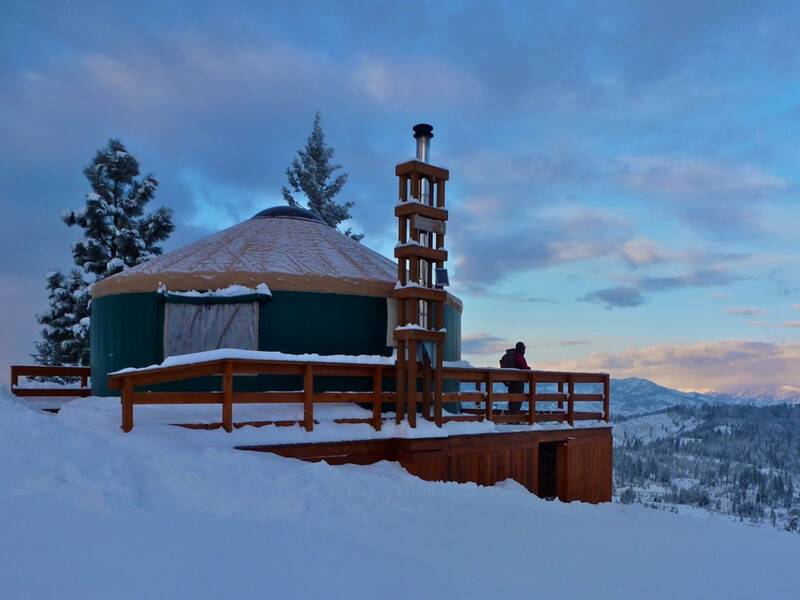 You can reserve one of five yurts, each with its own unique terrain characteristics. 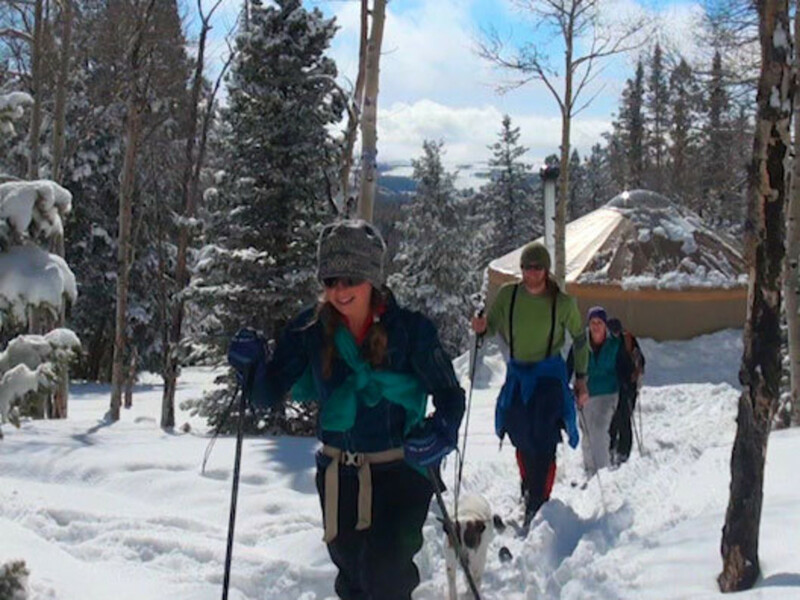 While some may be better for cross-country and snowshoers, the most far-flung hut, the Boundary Creek yurt, is excellent touring for skiers and splitboarders. Not only are these huts close, but reservations are cheap: $50/night on weekdays and $75/night on weekends and holidays. They can handle up to eight people comfortably. (So you’ll save plenty of beer money for the aforementioned Evanston run.) Their online calendar shows availability, but you need to call to reserve. Ok, so these yurts is a half-day’s drive north of Salt Lake is the splendid Sawtooth range, with its namesake jagged ridges and summits. While nearly all of Sun Valley Trekking’s huts have terrain accessible for more intermediate-level backcountry skiers, these mountains are where the real stuff really shines. You can find true big-mountain terrain studded with interesting couloirs and gnarled cliff bands. These huts are a little more luxe than most of their Utah counterparts, and damn, is it worth it. They each boast solar panels that power the interior lights and plugs to charge your fancy devices. (Film your dance party with your freshly charged GoPro? Oh, yes.) They also each have a wood-fired sauna or hot tub, so you can properly unwind at the end of the day. Reserve over the phone and be ready to pony up half of the reservation cost upfront, then get all 10 of your yurt-mates to fill out their liability forms. Trust us, it’s worth it.